M. Night Shyamalan is back, with his first ever direct sequel, Glass, a follow up to his surprise hit 2016’s Split. The third installment in his grounded superhero trilogy that was kicked off with the underrated Unbreakable. Say what you will about Unbreakable or Split, it can’t be denied that both films are unique to the genre and have a clear vision pushing it forward. Their energy is dynamic and takes the audience along for the ride. 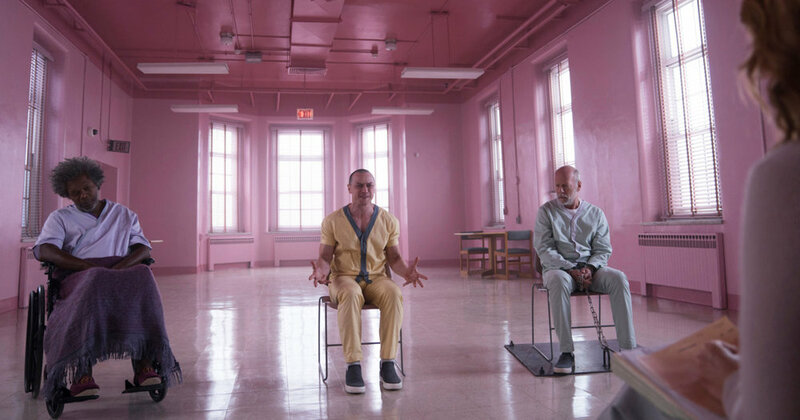 While Glass is just as ambitious, and you can easily see M. Night’s goals and aspirations with the story, the potential of an incredible film and consequently a satisfying ending to the trilogy, is buried under a mountain of disappointment, head-scratching plot points and annoyingly repetitive dialogue that drags this bloated runtime down. The story picks up after the events of Split. The Horde (McAvoy) is still on the run, kidnapping and killing young girls as part of his ritualistic sacrifices to their leader personality, The Beast. David Dunn (Willis) is trying to track him down and stop him, as he believes he is the only man capable of doing so. After a brief encounter, they are apprehended by the police and given to the care of Dr. Ellie Staple (Paulson). She specializes in people that believe themselves to be superheroes and hopes to cure them. However, Mister Glass (Jackson), has other plans in mind. M. Night has always been a particular type of writer, one that can give you deep and meaningful dialogue in one moment and the next will have a character commenting on dated internet memes (Salt Bae), ultimately defeating the scene that preceded it. The trick, with him, is usually finding a balance, and in here he never did as lines of dialogue are continuously repeated to the point that you stop listening out of sheer frustration. Poor Sarah Paulson had to repeat the same spiel over and over again, and all shot in the same tight close-up that felt as if he copy-pasted segments to fill out the screenplay. Quick note: while McAvoy comes to play and once again does the much heavy lifting with his performance. However, the constant shifting between personalities became tiresome – as the script does not let one stay long enough forcing McAvoy to grunt and breath heavily for the large part of the runtime. Outside of the dialogue being a bit tiresome and frustrating, you have the unnecessary subplots of the side characters. M. Night had four interesting characters in Glass, Horde, Dunn, and Staple, that could have easily filled out three hours’ worth of context. 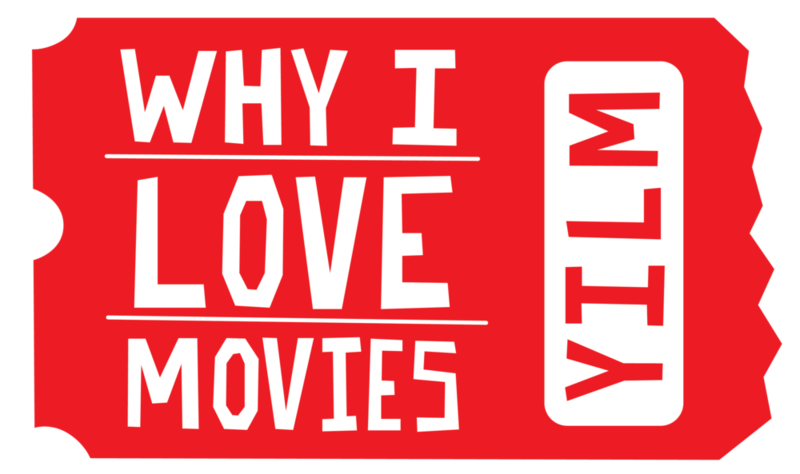 They are your anchors and the sole reason your audience wanted to see the film. Yet - the film insists on cutting back to Mrs. Price (Woodard), mother of Glass in horribly distracting old-woman make-up, Casey Cooke (Taylor-Joy) the lone survivor of Split, and Joseph Dunn (Clark), son of David. Joseph is the only one with a reasonable explanation for his role in the film, right hand of his dad, but the other two are distracting and unnecessary. Their scenes are why Dr. Staple is so repetitive as she tells them the same things she tells the main three. Moreover, Casey’s plot just was so confusing as it did not make any sense to me why she would want to be anywhere near The Horde. You cut out a massive chunk of this side plots, and you have room to flesh out your four-interesting character, especially Dr. Staple since she is the newest of the four and requires a bit more runtime to establish. Now M. Night the director on the other hand, did come in full force, showcasing an assortment of camera angles, placements and stylistic choices that make this film eye candy for the audience. The cinematography once again is beautiful thanks to Night and Mike Gioulakis. The vibrant colors of the sets and the clothes of each character are pure perfection. Having a specific color to define each of the main three is used throughout, even extending to their respective “sidekicks.” My favorite shots where when Night implemented the use of POV, shifting the perspective of the film between the characters, making the audience bounce between them. Moreover, to my surprise the action was handled exceptionally well, using The Beast’s skills in creative ways. The score is used to highlight the action scenes and the dramatic moments, and the editing is crisp - trying it’s best to move along a second act that drags almost bringing the entire film to a screeching halt. Glass is an M. Night Shyamalan film. It is probably the most M. Night film since The Village. There is so much potential within the bones of Glass, you can see moments of brilliance trying to shine through, but it ultimately ends up feeling like a letdown. Just like the titular character, the bones of the story are too brittle and unstable to hold the weight of all the frustratingly bad dialogue and side plots. James McAvoy once again delivers with a solid performance, and the rest of the cast is there doing right by their characters, and Bruce Willis is awake for most of it as well. Unfortunately, this was just not the satisfying ending or even the entertaining ending I was hoping for, and many fans (my wife included) will walk out tired and somewhat bored by it. I would wait for it to hit your favorite streaming service. McAvoy as Patricia is why I love movies.